The first trial of an accused terrorist exposes the flaws of "reformed" military commissions. Yet this week, behind thick bulletproof glass in a secure hangar-like courtroom at Guantanamo, I saw vast differences between the two systems. One notices first the physical – the few observers permitted to visit the isolated island base reach the courthouse through a maze of walkways secured by high dark-mesh fences, guards and double barbed wire on both sides. Instead of sitting in the courtroom, observers sit in an adjoining room, behind glass, and hear voices on 40-second delay to allow court security officers to cut off the audio should any classified information be uttered. In the dock this week was Abd al-Rahim al-Nashiri, a Saudi of Yemeni descent accused of planning and participating in the bombing of the destroyer, the USS Cole, on October 12, 2000. The attack killed 17 US servicemen and injured many more. With US service members killed a federal court clearly would have jurisdiction over the case, so the government must have some other reason for choosing a military commission. Nashiri’s is the first death penalty case to move forward in the military commissions. The fact that it is just being heard now, nine years after he was apprehended, demonstrates one of the starkest differences between the military commissions and federal courts – the absence of any real right to a speedy trial. This type of delay would never occur in federal court and greatly prejudices both sides, as memories fade and witnesses disappear. Further, nearly every substantive issue litigated in Guantanamo this week would never have arisen in civilian court. For example, the defense asked the judge to order the military to stop reading mail marked attorney-client privileged. In a federal prison, while mail might be inspected for physical contraband, a warden wouldn’t read clearly marked legal mail to determine if it was truly a privileged communication. The defense also sought permission from the judge alone to request funds for expert witnesses, a routine motion in federal court. But in the military commissions, the defense normally shares its request with the prosecution, potentially revealing its case theory and litigation strategy. Observers and reporters dozed during the hours of debate about whether defense email could be encrypted –- a seemingly dry issue until one realizes that request was being made because the Defense Department has been reading all the defense attorneys’ email. The defense has still not received roughly 70,000 pages of documents deemed relevant and material to the defense. Much of the evidence in the case is classified. 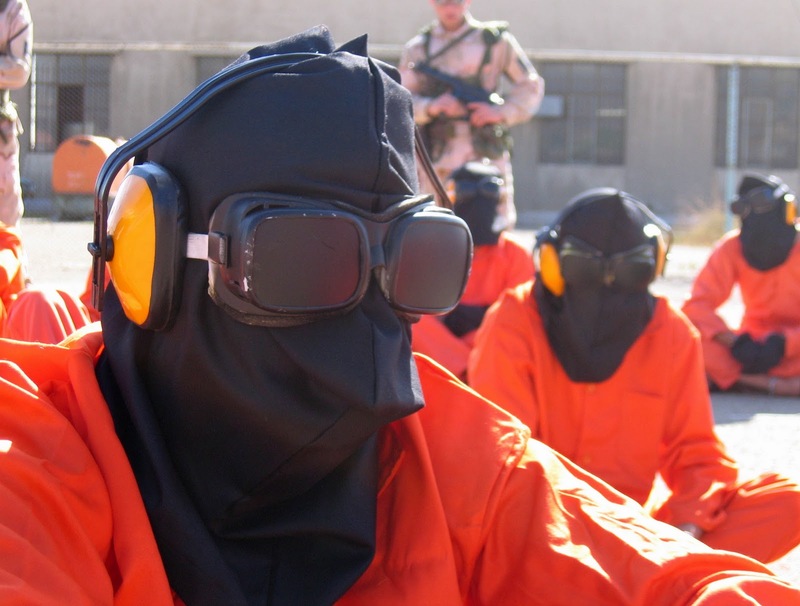 After his capture, Nashiri was held in a secret CIA “black site” for four years, and waterboarded — a form of mock execution by inducing near suffocation long considered torture under US and international law. He was also threatened with a gun and, later, with a revving power drill near his head while he was hooded but otherwise naked. Details of his torture, while available in the public domain, are largely treated as classified. The classified nature of the evidence means the defense only gets summaries of parts the prosecution deems relevant and that the judge approves. A request by the defense to challenge the accuracy of the summaries was denied. But civilian judges recognize that the parties should be able to challenge summaries, and may do so with a motion to reconsider. Despite the volume of documents, the prosecution pressed for trial to begin on March 3. That type of timeline is unheard of in federal court, especially in a death penalty case. The federal court case against 9/11 conspirator Zacarias Moussaoui took more than four years. Richard Kammen, one of Nashiri’s defense attorneys, called the prosecution’s proposed schedule “a time line for secret justice, for expedient justice, for under-resourced defense justice, and for justice that is fundamentally unfair.” He asked for ten months to two years depending upon whether he gets the resources and access to documents he needs. Ultimately the judge did not fix a trial date but gave the defense only two months to read all the documents and file any motions to challenge their adequacy. Even in the presentation of evidence, the military commissions have vastly different rules of evidence. Statements from the accused obtained by torture are prohibited. But evidence derived from other types of coercion may be admitted. In federal court, any evidence derived from coercion would be barred, absent a showing that it would have been discovered in another lawful way. Also, unlike in federal court or the US courts martial system, multiple levels of hearsay are admissible (like a memo reporting on a conversation), denying a defendant any genuine right to confront witnesses against him. Given the stark differences on display this week, it was startling to hear Martins say after the proceedings that military commissions “like federal court and courts martial” provide a fair system of justice. The US does not need to use this fundamentally flawed military commission system. As Martins himself admits, and the Obama administration has acknowledged, detainees can be prosecuted in either system for virtually the same offenses. Whether one agrees with the use of military commissions or not, Martins and the Obama administration should at least be honest about the differences: as demonstrated by the proceedings this week, fundamental procedural protections afforded defendants in federal courts simply do not exist in military commissions. And without comparable fairness and transparency, the promise of justice remains a big question mark. Another War For Oil With Iran?